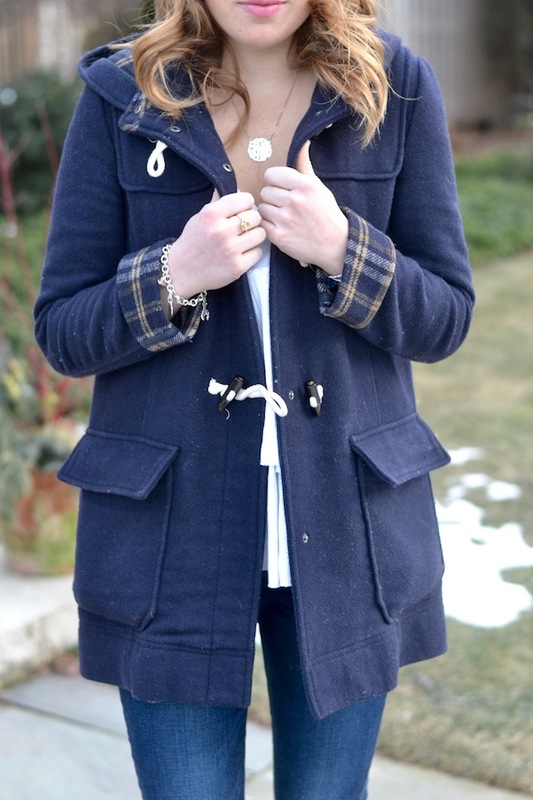 One of the best decisions I made over winter break was bringing my favorite navy coat to school! It's still cold here at Lehigh, but it's definitely starting to warm up a little bit (thank goodness!). As much as I'm going to have to ditch the wool coat soon, this hat is so fun whether it's wool coat season or puffy vest weather. 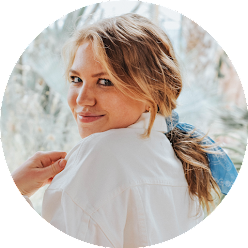 I love how easy it is to add navy and white and a classic preppy pattern to an otherwise simple outfit. 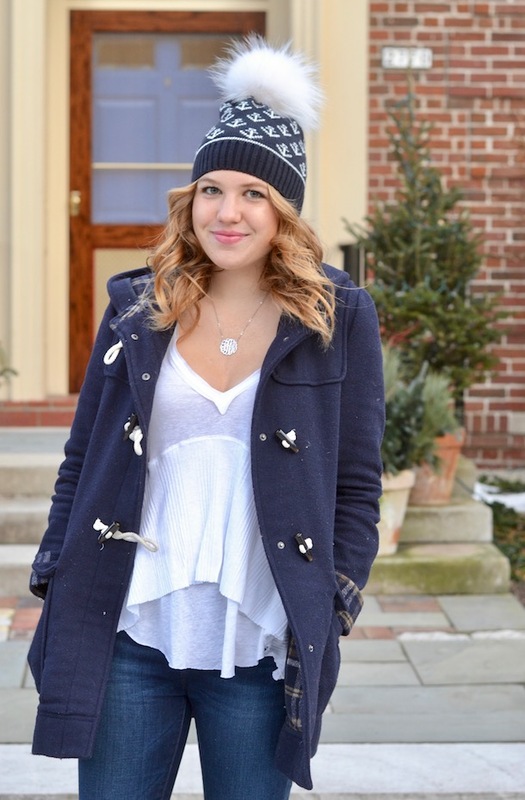 See how I also styled this hat in this post! How are you liking your new living situation? Did you end up getting a single room? This hat is so cute, love the anchors!